Pressure grew on Marseille's mayor and other officials Thursday, accused of ignoring warnings about unsafe housing as a seventh body was pulled from rubble after a deadly building collapse in the southern French port city. Rescue workers are being forced to work slowly because the collapse destabilised other buildings along the Rue d'Aubagne. Chances of finding any survivors "are thin, very thin, but real," said Charles-Henri Garie, who commands the water brigades of the port city's fire department. Mayor Jean-Claude Gaudin defended his administration's efforts to deal with thousands of dilapidated lodgings in the city, while calling for parliament to make it easier to compel private owners to undertake necessary maintenance or make improvements. Citing "terribly long, complex and costly procedures" for renovating or demolishing squalid buildings, Gaudin said "some people are taking advantage of this in opposition to society's interests." "Do you think a ship captain quits during a storm?" he asked. 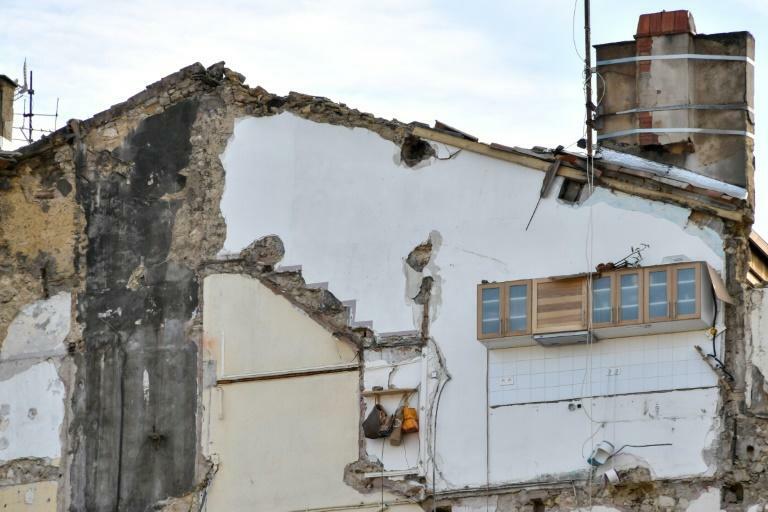 Furious residents along the Rue d'Aubagne, dozens of whom have been evacuated from their homes, have accused city authorities of neglecting the safety risks at the derelict buildings despite years of complaints. The mayor's deputy for risk prevention, Julien Ruas, said Thursday that 51 complaints were made on Wednesday alone, leading to 37 checks on buildings and four evacuations. Interior Minister Christophe Castaner said this week that 6,000 properties have been identified as "at risk" in the city, representing some 44,000 lodgings, mainly in lower-class neighbourhoods. "It's unthinkable that such things happen in our time," said Christian Gouverneur, who owns a flat across the road from the collapsed buildings.